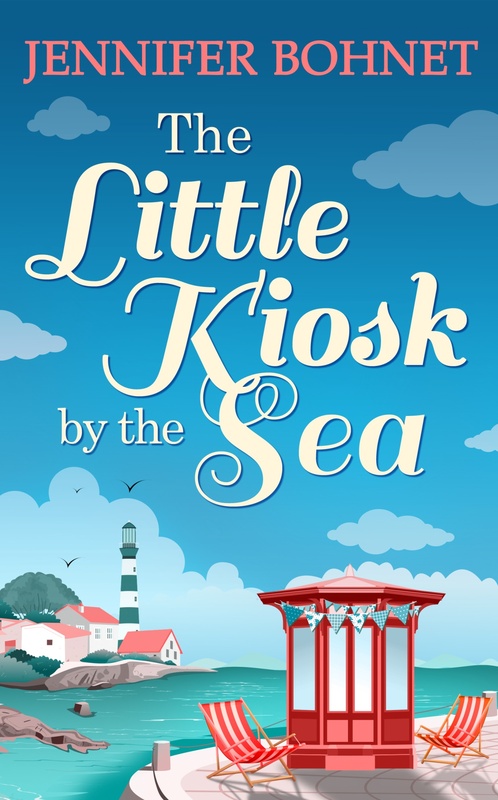 Today we are crossing the Channel to France to chat to Jennifer Bohnet whose latest book, The Little Kiosk by the Sea, has just been published. First, thank you Jo for inviting me. I’ve lived in France for 16 years now. Five years ago we moved from the south to a quirky little cottage in rural Brittany. I love living in the countryside but miss the sea, I eat too much chocolate, spend far too much money on dvds and I love having visitors. I really hate curry. You live in France, have you never been tempted to write something similar to Peter Mayle, about your life there? The only time I considered doing something similar was after we finished cycling from Roscoff via the canal paths down to the south but at that time I couldn’t interest a publisher. Maybe now’s the time to think about it again! But I do prefer the freedom writing fiction gives me and besides there’s only one Peter Mayle. Love his books. You had your own newspaper column for several years in Devon, tell us something about that. Oh that was fun. It was a lifestyle column for our local paper in Dartmouth where we lived at the time and I was given carte blanche to write about anything. Children, mothers-in-law, education, boats, local characters, holidaymakers, weddings,, weather forecasting, favourite things – I just had to provide 500 words of copy. It was a real thrill seeing my name in the paper every week for nearly three years. That’s a hard question Jo. There are so many authors out there I enjoy reading, but there are a few whose new books I look forward to and buy without hesitation. 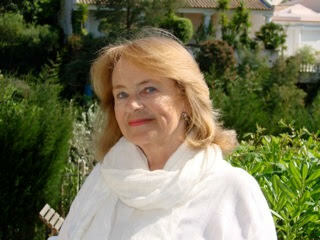 Veronica Henry, Erica James, Marcia Willett, Jill Mansell are four writers I admire hugely. They draw you in from the first page, their characters are superbly drawn and their stories just flow. If you weren’t a romance writer, is there any other genre you would be interested in? I don’t really consider myself as a romance writer at all, as to me a romance book focuses mainly on the love affair between the hero and the heroine. There is a romantic element in my books but it’s not the dominating focus of my stories. I hope I write women’s contemporary fiction with a love interest in the storyline. Number one and most important would be my husband Richard. I wouldn’t survive long without him. He’s made of sterner stuff than me and that would have him building a cabin, fishing and foraging for food and probably ignoring any sightings of a rescue ship because he likes the challenging life! Number two – a box of matches to light a fire to cook on and also hopefully to be seen by the rescue helicopter that will surely circle overhead because I really don’t do desert islands! Number three – a good supply of notebooks and pens – unless they’ve invented a solar laptop by then, in which case I’ll have that. Number four – a camera to record the scenery and to jog my memory when we’re safely back home and I’m writing about the experience.